H Is for Hawk meets Grief Is the Thing with Feathers in this evocative debut novel about a pill-popping anesthesiologist and avid birder who embarks on a quest to find one of the world’s rarest species, allowing nothing to get in his way—until he’s forced to confront his obsessions and what they’ve cost him. Adrian Mandrick seems to have his life in perfect order with an excellent job in a Colorado hospital, a wife and two young children he loves deeply, and a serious passion for birding. His life list comprises 863 species correctly identified and cataloged—it is, in fact, the third longest list in the North American region. But Adrian holds dark secrets about his childhood—secrets that threaten to consume him after he’s contacted by his estranged mother, and subsequently relapses into an addiction to painkillers. In the midst of his downward spiral, the legendary birder with the region’s second-longest life list dies suddenly, and Adrian receives an anonymous tip that could propel him to the very top: the extremely rare Ivory-billed Woodpecker, spotted deep in the swamplands of Florida’s Panhandle. 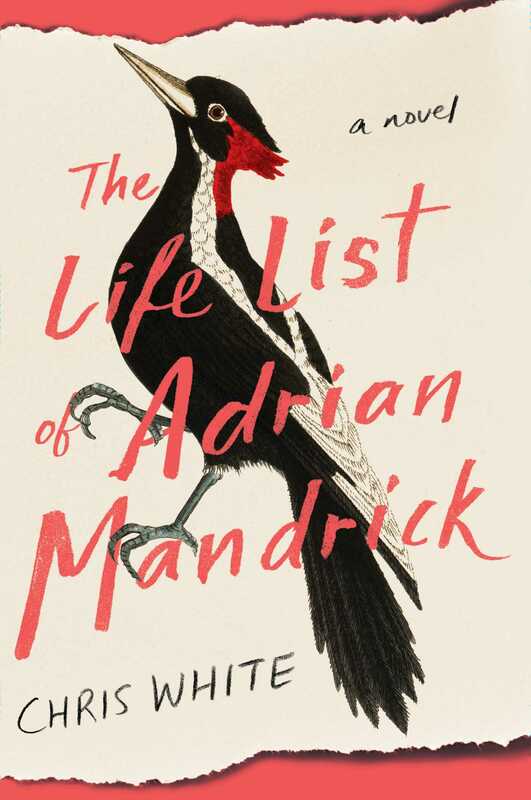 Combining sharp, elegant prose with environmental adventure, The Life List of Adrian Mandrick is a poignant, engaging story that heralds the arrival of a new literary talent. This reading group guide for The Life List of Adrian Mandrick includes an introduction, discussion questions, ideas for enhancing your book club, and a Q&A with author Chris White. The suggested questions are intended to help your reading group find new and interesting angles and topics for your discussion. We hope that these ideas will enrich your conversation and increase your enjoyment of the book. Adrian Mandrick seems to have the perfect life—a loving wife and family, an accomplished career as an anesthesiologist, and a serious passion for birding. But Adrian holds dark secrets about his childhood and pill addiction, secrets that threaten to consume him in the wake of his estranged mother’s death and a deteriorating marriage. In the midst of this turmoil, Adrian attempts to add one more bird—the elusive Ivory-billed Woodpecker—to his “life list,” the third-longest list of bird species in North America. His quest leads him to a discovery of something far more rare: a chance to confront the past, seek forgiveness, and change his life. 1. In the prologue, Adrian and his mother set out in a rented canoe for a day of birdwatching when they happen to come across the rare Ivory-billed Woodpecker perched in a nearby tree—if Adrian remembers correctly. How does this moment—a defining moment in Adrian’s life—contrast with the rest of the narrative? Is this early moment in Adrian’s life like the description he gives morning time, “When plans were made and not yet botched” (1)? In what ways do Adrian’s plans get “botched” later in his life? 2. A poignant moment occurs on page 9 when Adrian discovers his father crying alone in the kitchen in the middle of the night. How does this version of his father compare to the man Adrian describes throughout the story? How does Adrian’s misunderstanding of his family affect his adult life? 3. Adrian’s “life list” is impressive—the third longest in North America—and extremely important to him, arguably more important than his career, family, or friendships. What significance do you think the list holds for Adrian? 4. Revisit the chain of events that lead to Adrian’s relapse into pills. Do you agree with his logic on page 34 that “he should never have stopped pursuing the bird”? 5. Discuss the irony of discovering the accentor dead after accidentally abandoning Stella at a gas station and nearly killing them in a snowstorm. Do you think Adrian’s apology warrants forgiveness? Does Stella ever really forgive him? Justify your response. 6. Discuss Adrian’s relationship with his mother, June. Why do you think it was important for Adrian to “define the birds for himself” (68)? 7. Pain in many forms is discussed in the novel—emotional pain, physical pain, psychological pain, the pain of misunderstanding, the pain of desiring forgiveness, etc. Adrian even describes his medical specialty as dealing “exclusively in the avoidance of pain” (81). Why do you think pain figures so prominently into this story? 8. What draws Adrian to Deborah? Do you think he feels a particular kinship with her or is his affair a response to something else? 9. On page 120 Adrian muses to himself that he “has the sensation he’s pulled the plug on something that’s draining away at a rate he can’t control.” What exactly do you think he is “pulling the plug on”? 10. Discuss the notion of escapism. How does Adrian escape the realities of his life? How does Stella? Do you think the characters are successful in escaping their realities? Why or why not? 12. Reread Adrian’s assessment of himself on page 185, the paragraph beginning “He hadn’t been attentive, that’s what it was. He had been arrogant. . . .” Do you agree that his lack of attentiveness is why his marriage is crumbling? 13. Reread the last line of the Epilogue. In your opinion, does Adrian find his way back home in the end? Is he able to change? 1. Adrian’s birding is simultaneously deeply personal and deeply rooted in human history. He describes it as “a deep, primal impulse” and remarks that “birds and their characteristics show up in the illustrations and writings of all ancient societies” (104). Invite your book club on a nature walk. Pack binoculars and a birding book. See if your group can create your own “life list,” locating as many different birds as possible. Afterward, discuss the experience. What did observing birds feel like? What about the experience do you think most appeals to Adrian? Do you think birding is an escape from life for Adrian, or a way to be part of something larger than himself? 2. The Life List of Adrian Mandrick is in part a love letter to mother nature. For Adrian, “the earth is a bed he can lie down on when he needs to, his entire body held” (178). It is a home we share with creatures big and small—birds among them—and one that is in grave danger. Now, more than ever, care for the environment is crucial. As Adrian mentions, “Global warming is driving 60 percent of . . . bird species . . . out of environments they’ve adapted to for centuries” (54). Host an activist picnic lunch with your book club. Find a local park in your region (https://www.nps.gov/findapark/index.htm) and invite everyone to bring a dish for sharing along with a pen, paper, envelope, and stamp. Over lunch, draft letters to your local government officials describing the beauty of your surroundings and urging them to vote on legislation to protect such parks in the future. 3. Adrian’s addiction to pain medication is largely to blame for his failing marriage, mistakes at work, and strained relationship with his children. Countless Americans struggle with addiction in many forms, often resulting in even more serious consequences than Adrian suffered. Host a movie night with your book club and watch Warning: This Drug May Kill You (2017). After the film, discuss the families devastated by addiction, and see if you can draw any comparisons to Adrian’s downward spiral. This is your debut novel, though you are an accomplished playwright and screenwriter. How does writing prose compare with dramatic writing? Do you find one more challenging than the other? Explain. When I first started writing prose after writing plays and screenplays for a number of years, it was like being set free. I could suddenly go anywhere in my writing, with any number of characters, and they could do anything (with no budgetary constraints!). I could describe things in detail and focus in on an image exactly as I saw it in my head, or explore what a character was thinking with as much intricacy as I liked. I love working on plays for their collaborative elements and their immediacy, for the magical relationship between writer and actor and audience. They require me to work like mad on dialogue and character, symbolism and metaphor. Plays are a kind of primordial mystery. Screenwriting is all muscle—outlining and planning and diagramming ahead of time and working draft after draft to get to a crisp and rich precision of image, character arc, and structure. Fiction brings all of these pursuits together for me. What prompted you to give your main character birding as a hobby? Are you a birder yourself? Adrian would probably take umbrage at your calling birding his “hobby!” Unlike him, though, I’m no expert. I’m just learning. But the seed of the novel is completely bound up with birds. It came from a story a stranger told me on a plane about an avid birder who had taken his wife on a whirlwind trip to chase a rare bird. They stopped to get gas, and he forgot his wife at the gas station. There was so much in that story for me, a marriage in turmoil, a depth of obsession, an imperfect character somehow both devoted and blundering at once. It just lit me up like a light. I have always loved birds—their fragility juxtaposed against their amazing capacity for flight, their astounding variety, the companionship they share with us nearly everywhere we go. And my passion for nature and the environment couldn’t be stronger. Throughout the novel there are several facts about the dangers of global warming on the environment, particularly for bird species. Do you hope to spread awareness about the dangers of global warming with this novel? Climate change is at the beating heart of our current planetary condition and beyond urgent. This reality, this daily, hourly evidence of our excesses, shortsightedness, and losses, is a huge current in the novel for me. I also think it’s responsible in some way for the pace of the story—the sense that Adrian is running for his life, that there is no time to lose, and that the stakes are dire. Do you agree that at heart Adrian seems to want to escape the reality of his life, and that both the birds and the pills aid him in doing so? Would you diagnose your main character as an escapist? Why or why not? I would diagnose most human beings as escapists, to be honest. We want to avoid pain and discomfort and push instead toward pleasure and an idealized self. It’s what we do. That avoidance just gets us into more trouble, keeps us running, stumbling, wreaking havoc, like Adrian. But Adrian has a good heart, also like most of us. It takes a lot of courage to be willing to look at what’s actually going on in our lives (or country), as a result of our choices. It often takes hitting bottom for us to change. But I believe it’s possible! Describe the research that went into writing this novel. What was the process like? Did you uncover any facts that were particularly surprising? I learned so much. When I began I knew almost nothing about the birding world and was aided by an amazing and diverse group of birders who were incredibly generous with their time and energies, some of them, like Larry Balch (former president of the American Birding Association) and Betsy Fikejs, for many years at various iterations of the novel’s progress. The great store of information at the Cornell Lab of Ornithology was a godsend. I also had little knowledge of anesthesiology and got lots of help from doctors in different areas of specialty. The book presented research challenges in terms of its settings as well—from upstate New York and Boulder (where I lived for several years before beginning the book), to Texas and Washington State, to very particular areas of the Florida panhandle. All of these required research, some of it more extensive. For me, research is more than a means to create greater authenticity or accuracy. It’s a powerful creative engine that can shape the narrative in ways I never could have imagined beforehand. I did uncover facts that were particularly surprising, many of them having to do with climate change, extinction, and American history, some of which made it into the book directly, and some of which made it into the book in more covert ways. What is your favorite moment in the novel? What was the most difficult scene to write? Probably my favorite moment in the novel was also the most difficult to write: the climactic scene in the swamp. In the end it is left unclear if Stella and Adrian work out their differences. Can you lend us insight into how you think their future plays out? I wish I could! I have my own opinions, of course, but one can’t be sure. I imagine Adrian will make his way to sharing what he’s gone through with Stella, both in the recent past and in his childhood. There will surely be healing in that. What her response will be, I can’t say. What was your process like in writing the novel? What were the biggest challenges and changes it went through? The first draft of the novel was extremely different than the last (not to mention the many drafts in between). It began as a book from several characters’ points of view, but the primary protagonist was the wife, the character that on some level I could identify with best. It was a very different story as well, with different thematic emphases, locations, plotline, and characters. At a certain point though, after working on that book for some time, I realized that Adrian’s story was taking over, compelling me and driving me. I now believe that’s because I needed to understand his story in an even more urgent way than Stella’s. I completely redrafted the book at that point, attempting to hone in on his perspective. Then the book went through yet another major shift, when I realized I wanted to do away with all other perspectives and write it exclusively from Adrian’s POV. I redrafted it yet again, finding ways of integrating what I had gained through the other characters’ perspectives into the new version. The book was a great labor of love for me. It spanned many years. What is next for you as a writer? Can we expect to learn any more about Adrian in the future? I’m working on a new novel. I’m not yet at a point where I’m ready to say much more. But I’m very excited about it and very much in the middle of the abyss of finding. It feels a little dangerous, which is usually a good thing. As for Adrian, I don’t know whether we’ll hear from him again or not! I miss working with him. He taught me a lot about myself. Sometimes I think about extracting threads from The Life List of Adrian Mandrick and weaving them into either this next novel or something in the future. But I guess I’ll have to wait to find out. Chris White is an award-winning playwright and screenwriter, with an MFA in dramatic writing from NYU’s Tisch School of the Arts. 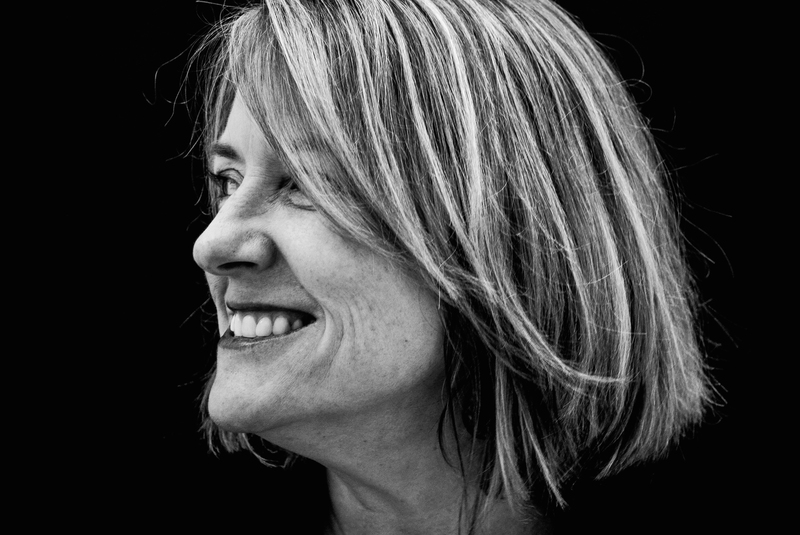 Her plays have been produced nationally and internationally, and her play, Rhythms, won the Helen Hayes Award for Outstanding New Play. She received an Award of Merit at the Women’s Independent Film Festival for her feature-length screenplay, Weasel in the Icebox, and her short film, Mud Lotus, was an official selection at the New Hampshire, Albany, and Cincinnati Film Festivals. White is a professor of English at DePauw University teaching creative writing. She lives near the town of Bainbridge, Indiana on Big Walnut Creek. The Life List of Adrian Mandrick is her first novel.